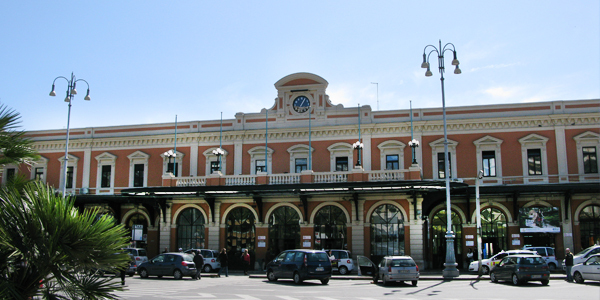 You can now book parking at Bari Central Station on our website. It is located only two minutes from the railway station, offering a variety of parking options. By booking for Bari Central station parking you are guaranteed a parking space, thereby avoiding the risk of missing your train! You can choose to park within walking distance of the station, or save money by parking further away with a free shuttle service, or you can now even take advantage of the meet and greet service directly at the station. Book your parking space for Bari Central station parking now and enjoy your trip. Bari Centrale is an extremely busy train station; it handles 40 thousand passengers a day, with a total of around 14 million per year. This renovated and refurbished station offers plenty of space for passengers.